Reaffirm our full support to the Republic of Poland in its capacity as the Presidency of COP 24 and encourage efforts by the COP 24 Presidency for a strong political and meaningful outcome at COP 24 aimed at continuing to build the momentum in addressing global climate change and, in particular, bringing into focus international attention on the special circumstances of SIDS. Wildlife conservationists consider it to be one of the most striking parrots of its kind. Saint Lucia’s best-known species, the endangered Amazon parrot, is recognised by its bright green plumage, purple forehead and dusty red-tipped feathers. 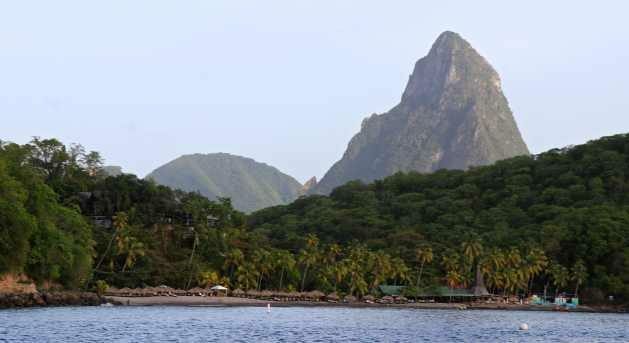 But a major conservation organisation is warning that climate change and a lack of care for the environment could have devastating consequences for Saint Lucia’s healthy ecosystems and rich biodiversity, including the parrot. Sean Southey chairs the Commission on Education and Communication (CEC) of the International Union for Conservation of Nature (IUCN). He told IPS that urgent action is needed to safeguard the eastern Caribbean island nation’s biodiversity, which is under constant threat. “With climate change, countries like St. Lucia [experience] significant weather events. The increase in hurricanes, the increase in bad weather and mudslides – these are incredible consequences of climate change,” Southey said. “As you drive across the landscape of St. Lucia, you see a landscape strewn with old plastic bags,” Sean Southey, chair of the Commission on Education and Communication. Though less than 616 square kilometres in area, St. Lucia is exceptionally rich in animals and plants. The island is home to more than 2,000 native species, of which nearly 200 species occur nowhere else. Other species of conservation concern include the pencil cedar, staghorn coral and St. Lucia racer. The racer, confined to the nine-hectare island of Maria Major, is thought to be the world’s most threatened sake. Also at risk are mangrove forests and low-lying freshwater wetlands, Southey said. But he said it was not too late to take action, and he urged St. Lucia and its Caribbean neighbours to take advantage of their small size. “The smallness of islands allows for real society to get involved. What it means is helping people connect to the environment,” Southey said. “It means that they need to know and feel and appreciate that their individual behaviours make a difference. Especially the biodiversity decisions [like] land use planning. If you are going to sell your family farm, do you sell for another commercial tourist resort, do you sell it to make a golf course or do you sell it to [produce] organic bananas? These are the type of individual decisions that people have to make that protect an island or hurt an island,” he said. The CEC chair said recent extreme weather events have forced people in the Caribbean to understand climate change more than inhabitants from other countries in the world do. “If you’re over the age of 30 in the Caribbean, you’ve seen a change in weather patterns. It’s not a story that you hear on the news, it’s a reality that you feel during hurricane season every year. So I believe there is an understanding,” he said. In September 2017, Hurricane Irma tore through many of St. Lucia’s neighbouring islands, including Barbuda. The category five hurricane wreaked havoc on Barbuda’s world-famous frigate bird colony. Most of the 10,000-frigate bird population disappeared in the immediate aftermath of the hurricane that destroyed the mangroves in which they nest and breed. While many countries in the Caribbean are working on building natural barriers and nature-based solutions in response to climate change, Southey still believes there needs to be a greater strengthening of that sense that people can actually do something to contribute. In June 2016, Antigua took the lead in the Caribbean with a ban on the commercial use of plastic bags. The island’s environment and health minister Molwyn Joseph said the decision was made in a bid to reduce the volume of plastic bags that end up in the watercourses and wetlands. “We are giving our mangroves a fighting chance to be a source of healthy marine life, that can only benefit us as a people,” he said. 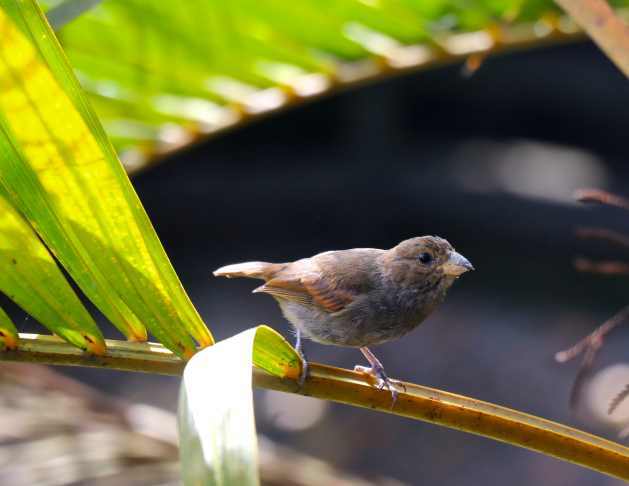 Antigua also became the first country within the Organisation of Eastern Caribbean States and the second within the Caribbean Community, to ratify the Nagoya Protocol to the Convention on Biological Diversity (CBD). The Nagoya Protocol provides a transparent legal framework for the effective implementation of one of the three objectives of the CBD: the fair and equitable sharing of benefits arising out of the utilisation of genetic resources. On Jul. 3 this year, one of the Caribbean’s largest supermarket chains launched a campaign to discourage the use of single use plastic bags for bagging groceries at its checkout counters, while actively encouraging customers to shop with reusable bags as a more eco-friendly option. Managing director of Massy Stores St. Lucia Martin Dorville said the company is focused on finding more permanent solutions to reducing plastic waste and its own demand for plastic bags. He said the decision to encourage customers to use less plastic was bold, courageous and will help manage the adverse impacts of single use plastic on the environment. “I am very thrilled that one of the number one supermarkets has decided to ban all plastic bags. It’s a small behaviour but it helps everyone realise that their individual actions make a difference,” Southey told IPS. “As you drive across the landscape of St. Lucia, you see a landscape strewn with old plastic bags, so I was very appreciative of that. But what I really liked is that when I spent over USD100, they gave me a recyclable bag as a bonus to encourage me to use that as an individual so that my behaviour can make a difference,” he said. PRESS RELEASE – (CARICOM Secretariat, Turkeyen, Greater Georgetown, Guyana) The Caribbean Community (CARICOM), with support from the United Nations Development Programme (UNDP), will hold a High-level Donor Conference on 21 November at UN Headquarters in New York to mobilise international resources for its Members devastated by Hurricanes Irma and Maria. This initiative is aimed at rebuilding the devastated Members as the first climate resilient countries in the world and helping the wider CARICOM Region improve its resilience. International Development Partners, friendly countries, NGOs, prominent personalities, private sector entities and Foundations have been invited. CARICOM Heads of Government and the Secretaries-General of CARICOM and the United Nations will also participate. The powerful category 5 hurricanes Irma and Maria hit the Region in September causing a number of deaths and widespread devastation in CARICOM Member States and Associate Members. Irma, with wind gusts of over 230 mph, damaged or destroyed more than 90 percent of the buildings on Barbuda – the sister island of Antigua – leading to the complete evacuation of the island; and between 60 and 90 percent in Anguilla, the British Virgin Islands, the southern family islands in The Bahamas, and the Turks and Caicos Islands. Haiti and St. Kitts and Nevis were also affected. Maria passed two weeks later, hitting Dominica with such fury, Prime Minister Roosevelt Skerrit was prompted to declare that “Dominica is pure devastation”. CARICOM, through the Caribbean Disaster Emergency Management Agency (CDEMA) has been at the forefront of the immediate relief effort. Member States, private sector companies and public spirited individuals have contributed significant quantities of relief supplies. Several countries have also contributed security personnel, health professionals and utility repair experts, among others. CARICOM Chairman, Prime Minister Dr Keith Mitchell of Grenada and Secretary-General Ambassador Irwin LaRocque led assessment teams to badly affect islands. Given the level of devastation and in anticipation that the frequency and intensity will become the new normal, the Region has recognised the need to build back better for improved resilience. November’s Donor Conference also comes against the backdrop that the impacted countries are Caribbean Small Island and Low-lying Coastal Developing States (SIDS) with inherent vulnerabilities. Most have also been made ineligible for concessional financing from major donors which have categorised them as middle to high income countries. Executive Director of the Caribbean Agricultural Research and Development Institute (CARDI) Barton Clarke is confident that the agriculture sectors that were destroyed with the passage of back to back Category 5 hurricanes will rebound with the collective effort at resilient rebuilding. But more work needs to be done and a greater slice of resources must be pumped into the region’s agriculture sector to make it more resilient, he said. 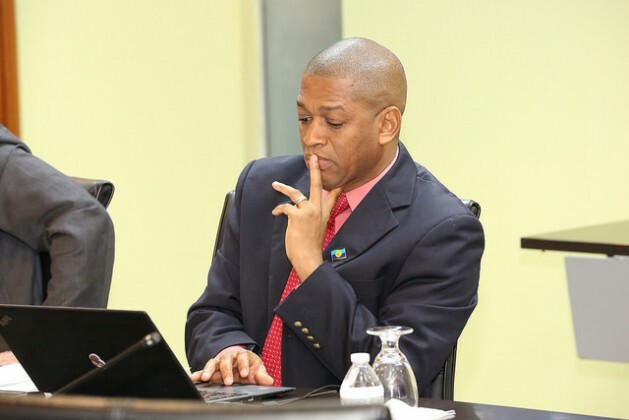 Speaking on the eve of a Ministerial Agriculture Meeting at the Georgetown-based CARICOM Secretariat, Clarke was optimistic that with initial steps being taken to focus on the short-term, the two islands that were hardest hit, Barbuda and Dominica, will bounce back. Barbuda had significantly advanced its peanut production and was recently getting CARDI support for the industry, but the hurricane impaired its seed supplies for the upcoming crop. CARDI will screen and store supplies at its seed storage facility in Antigua, Clarke said. Antigua and Barbuda had presented its vision for agriculture at the COTED Meeting. Barbuda has adopted a ‘green island concept’ with alternative energy, particularly solar and wind; organic agriculture and compliance with food safety requirements as the main features. Protected agriculture and specially designed smart greenhouses are the pillars on which resilience, readiness and sustainability will be built. The concept also utilizes appropriate innovations and production technologies such as rational mechanization, selected germplasm, efficient use of water resources and intensive systems for small ruminants. The concept will ensure that zoning and land use practices will not compromise the integrity of the environment. Replanting of short-term crops such as lettuce, Chinese cabbage and ochro, for example, has begun in Dominica. Root crops, which made up a sizeable part of Dominica’s sector, can rebound “relatively quickly” as opposed to tree crops, he said and there could be a fast turnaround in the poultry sector, for example. “…Once you can access the baby chicks, in six months’ time you have eggs…Tree crops you would have to get the trees in the ground and they will take a few years before they begin bearing. But In two years’ time we will be back to being a major supplier of food to the Caribbean,” Clarke said. The CARDI head pointed to the necessity for climate-resilient agriculture in the Community. Antigua and Barbuda has already incorporated some of those elements – such as protected agriculture – in its green island concept. According to Clarke, CARDI is looking at protected structures for crop production and getting the best types for the Caribbean. He pointed, as an example, to livestock production systems where animals were now housed in pens rather than “running around”. The pens, he said, were modified so that they can withstand the increases in temperature. He said CARDI is considering the work done in countries such as Israel, the Dominican Republic and Barbados where animals are fed in protected housing which limits their exposure to the temperatures and increases their productivity. “You see where they have introduced wind tunnel technology for poultry where we have poultry operating in essentially air conditioned environments where the temperature is regulated,” he explained. He added that the systems have been extended into the crop arena as well. He pointed out that there was solar cooling technology to bring down the heat in the protected structures. CARDI is also collaborating with the University of the West Indies to look at cooling the structures. “Then we have to look at drug and heat-tolerant varieties of plants; we’ve done some work on pigeon peas, corn, sweet potato, dasheen. A lot more of that work needs to be done; a lot more of resources need to be invested,” he said. With limited resources and lack of funding, many hurricane-torn regions in the Caribbean are finding it hard to recoup. The Caribbean Community (CARICOM) along with the United Nations Development Programme (UNDP) will host a conference to assist the hurricane-torn Caribbean nations to help them become more “resilient” in future climate-related calamities. The conference to be held in New York on Nov. 22 will raise funds to provide “technical and financial assistance to meet that goal,” Ambassador Irwin LaRocque, Secretary-General of the Caribbean Community, CARICOM, said during a press conference. “The currents of successive category 5 hurricanes signals a dangerous change in the intensity and frequency of climate change-related storms, heralds the advent of the new normal,” LaRocque said. “All these disasters” offer an opportunity for the affected countries to “become the first climate change resilient countries in the world,” the CARICOM general secretary added. Gaston Browne, Prime Minister of Antigua and Barbuda, also urged for concessionary funding needed for the hurricane-hit regions. Using “artificial impediments” such as “per capita income” are “an act of aggression against small island developing states,” Browne said. Browne called out the hypocrisy of naming Caribbean countries as “wealthy” when a vast majority of the countries in the region are “the poorest in the world, maybe second only to Africa,” he said. Further adding, in order to adapt and mitigate the effects of climate change, the countries responsible for climate change should pay the price. “The money should come from the heavy polluters, those who are contributing to the warming of the planet,” and those who continue to use fossil fuels, he further added. Credit: Caribbean Community Climate Change Centre. Not for use without written permission. Belmopan, Belize June 26, 2017: The Caribbean Community Climate Change Centre in collaboration with the United States Agency for International Development (USAID) and Government of St Lucia are hosting a workshop on the Use of Climate Change Impact Tools and Models for Decision Making, Planning and Implementation on the island between June 19 and 30. The Workshop is being held at the Bay Gardens Inn in Rodney Bay, Gros Islet, St. Lucia and is organised under the USAID-funded Climate Change Adaptation Program (USAID CCAP). The program aims to build resilience in the development initiatives of 10 countries in the Caribbean as they tackle climate change induced challenges which are already being experienced. Under the project the Caribbean Assessment Regional DROught (CARiDRO) tool; the Weather Generator, the Tropical Storm Model and accompanying web portal and data sets have been developed and are being introduced to help countries to enhance their development activities to reduce the risks to natural assets and populations, due to climate change. The tools are open source online resources to provide locally relevant and unbiased climate change information that is specific to the Caribbean and relevant to the region’s development. The integration of the tools into national policy agendas across the region is being spearheaded through regional and country workshops which are crucial to ensuring effective decision-making and improving climate knowledge and action. The beneficiary countries are Antigua and Barbuda, Barbados, Dominica, Grenada, Guyana, St. Kitts and Nevis, St. Lucia, St. Vincent and the Grenadines, Suriname and Trinidad and Tobago. The USAID CCAP project was designed to build on both USAID’s Eastern and Southern Caribbean Regional Development Cooperative Strategy, which addresses development challenges in the Eastern and Southern Caribbean, and the CCCCC’s Regional Framework for Achieving Development Resilient to a Changing Climate and its associated Implementation Plan that were unanimously endorsed by Caribbean Community (CARICOM) Heads. The Caribbean Assessment Regional DROught (CARiDRO) was designed to facilitate drought assessment in the context of the Caribbean and Central America. It is a flexible system that should accommodate the requirements of different users. The online tool is composed of two main sections: a descriptive one where the user can find information on how to use the tool as well as terms and concepts that are useful. The other section is where the user can fill out a form with different fields in order to produce results accordingly. CARiDRO allows the user to access and to process different observed and model datasets for the Caribbean Region to produce results based on two Drought Indexes, the Standardized Precipitation Index (McKee,1993) and the Standardized Precipitation-Evaporation Index (Serrano et al, 2010). The Weather Generator provides daily weather time series for use in impact assessments and impact models. It generates weather data for the future that can be used across sectors (e.g., water, agriculture, health) in the same way as historic weather series. The main benefit and utility of the WG is that it provides information for a single point location – directly comparable to what is observed at weather stations. A simple advection model premised on past memorable and notable storms generating grids for each 15-minute period in the storm model. The variables include precipitation rate and wind speed. The Caribbean Community Climate Change Centre coordinates the region’s response to climate change. Officially opened in August 2005, the Centre is the key node for information on climate change issues and the region’s response to managing and adapting to climate change. We maintain the Caribbean’s most extensive repository of information and data on climate change specific to the region, which in part enables us to provide climate change-related policy advice and guidelines to CARICOM member states through the CARICOM Secretariat. In this role, the Centre is recognized by the United Nations Framework Convention on Climate Change, the United Nations Environment Programme, and other international agencies as the focal point for climate change issues in the Caribbean. The Centre is also a United Nations Institute for Training and Research recognised Centre of Excellence, one of an elite few. Learn more about how we’re working to make the Caribbean more climate resilient by perusing The Implementation Plan. 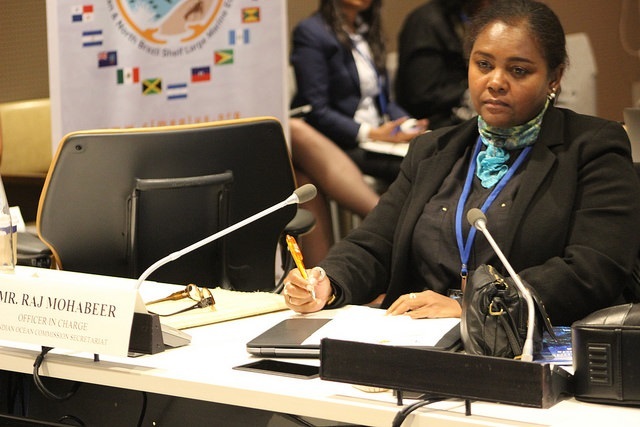 The Caribbean Community (CARICOM) staged its Side-Event at the UN Oceans Conference in New York, Wednesday, with a strong focus on networking and collaboration to help the region achieve its sustainable development goals. The event, titled “Ocean Governance and SIDS Sustainable Development”, was convened as a partnership involving CARICOM Member States, led by Barbados and Belize; CARICOM Institutions led by the University of the West Indies (UWI); and the CARICOM Secretariat. Head Table, Side Event by CARICOM Secretariat, Governments of Belize and Barbados and UWI (l-r) Assistant Secretary General CARICOM Secretariat Dr. Douglas Slater; Belize Government Minister Hon Omar Figueroa; Barbados Government Minister Hon. Maxine McClean; Professor Robyn Mahon, UWI; Ms Christine Pratt, Pacific Forum. The event had as a second goal, cultivating inter-regional collaboration among Small-Island and Low-lying Developing States (SIDS). To this end, it was an engagement involving CARICOM, the Pacific Island Forum and the Indian Ocean Commission. He said the intra-regional approach, involving Member States and Institutions, was key to insuring implementation of the SIDS agenda for Sustainable Development especially in a region where human and financial resources are often scarce. The inter-regional collaboration, he said, stemmed from calls by Heads of Government at the 2014 Samoa Conference on SIDS, for the UN system to foster opportunities for enhanced SIDS inter-regional collaboration to fields beyond climate change negotiations. “As such we are using this platform – the Oceans Conference – as a first step to what we hope will be many engagements between ourselves, the Pacific Island Forum and the Indian Ocean Commission, to advance the SIDS collectivity,” Dr. Slater said. CARICOM has argued that despite longstanding recognition that, to be effective, oceans governance arrangements must be integrated across sectors and at all levels, from local to global. It has however noted that governance arrangements remains fragmented and ineffective. As an example, it noted that bio diversity, fisheries, pollution and climate change have 23 global and 120 regional agreements. CARICOM’s position is that these global and regional networks, if rationalised, connected and strengthened could provide a working global ocean governance framework for oceans that will enable achievement of the SDG 14 targets. 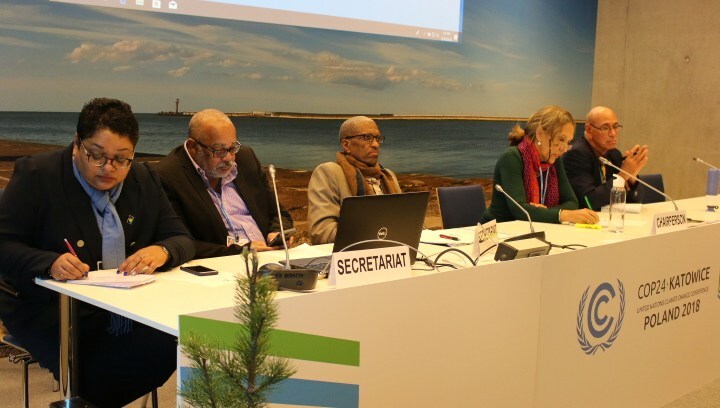 Ms Jeana Bond, Officer in Charge of the Indian Ocean Commission, with responsibility for environment and climate, represented her Group at the CARICOM side event and signalled their own strong interest in inter-regional collaboration. “We have arrangements to strengthen regional and inter-regional cooperation, getting institutions networking and sharing, as well as exploring areas for collaboration,” Ms Bond told the meeting. Her position was endorsed by the Pacific Islands Forum’s Deputy Secretary-General Ms Christelle Pratt. “We continue to deploy our best efforts at finding common ground to effectively manage frameworks,” she told the meeting. “We therefore see SDG 14 as an opportunity to further embed and strengthen regional ocean governance to ensure effective implementation of goal 14, but more crucially to use the current international dialogue on the world’s ocean to progress an already ambitious regional agenda for it and for our very special chunk of the Pacific Ocean that we have stewardship and custody of. And we trust that this first Ocean Conference is such an opportunity to pursue and solidify these efforts and to share best practices between our Regions which should and must continue inter-sessionally for years and for decades to come”, she added. The Barbados Minister of Foreign Affairs and Foreign Trade Senator Maxine McClean chaired the event which also received remarks from the Minister of Sustainable Development from Belize Mr. Omar Figueroa. UWI was represented by Professor Robin Mahon, and there was a presentation from Mr. Patrick Debels of the UNDP/GEF/CLME+Project who announced the launch of a partnership for the wider Caribbean Region which involved a large marine ecosystem project. The UN Ocean Conference, being held from 5 – 9 June at the UN Headquarters in New York, was organised to support implementation of Goal 14 of the 17 Sustainable Development Goals, part of the 2030 Agenda for Sustainable Development, adopted by world leaders in 2015. The main outcome will be a Call For Action to conserve and sustainably use the oceans, seas and marine resources for sustainable development. One of the greatest injustices of pollution is that its consequences are not limited to those who produce it. The Caribbean is one of the least polluting regions in the world but it is also one of the most exposed to global warming due to the importance of the tourism sector within its economy. Carlos Fuller, an expert from the Caribbean Community Climate Change Centre, explains the consequences of the region’s dependence on petroleum and analyzes the potential of public policy for supporting renewable energy. How is climate change impacting the Caribbean? The Caribbean’s greenhouse gas emissions are very small because we have a small population, we are not very industrialized, and we don’t do a lot of agriculture, so we don’t emit a lot. However, mitigation is important for us because of the high cost of fuel and energy. Most of our islands depend on petroleum as a source of energy, and when oil prices were above US$100 per barrel, we were spending more than 60% of our foreign exchange on importing petroleum products into the Caribbean. In that respect, we really want to transition to renewable energy sources as we have considerable amounts of solar, wind, geothermal, and biomass energy potential. Has climate change started to affect tourism? It has. Climate change is severely impacting our natural attractions, our tourist attractions. For example, we have a significant amount of erosion because of sea level rise, wave action, and storm surges, which is causing tremendous erosion and affecting our beaches. Our coral reefs, which are a big attraction, are also suffering a lot of bleaching which is impacting our fish stock. Those resources are being affected significantly. We do have significant protected areas; however, we need more resources to enforce the protection of these. What role do public policies play in developing renewable energy? In some countries, [we’re] doing reasonably well on this front. In Belize, for example, we now have independent coal producers and we have transitioned to an increased use of hydro, solar, and biomass, so more than 50% of our domestic electricity supply is from renewable energy sources. However, on many of the islands, we need to create an enabling environment to allow renewable energy to penetrate the market. We are going to need a lot of assistance from the international community to put in the regulatory framework that will allow us to develop renewable energy in these places. We then need to attract potential investors to provide sources of renewable energy in the region. Of course, the Caribbean’s tourism is an important sector of the economy, which is one of the reasons we need to protect our reserves and natural parks. We are also trying to make our buildings more resilient to the effects of extreme weather. That is the focus of our work. How does the Green Climate Fund work? The Green Climate Fund is headquartered in South Korea and it has an independent board of management. However, various agencies can be accredited to access the fund directly. We have already applied for a project to preserve the barrier reef and another to promote biomass use in the Caribbean. So, we have two projects in the pipeline through the Green Climate Fund which are valued at around US$20 million. Do you think that the Paris and Marrakesh summits brought concrete results for the region? We were very pleased with the outcome in Paris. The objectives that the Caribbean Community wanted were achieved: the limit for warming was set at 2°C; adaptation was considered along with mitigation; finance, technology transfer, and capacity building were included; and a compliance system was put in place. All the things that we wanted out of Paris, we achieved, and so we are very happy with that. Climate change remains inextricably linked to the challenges of disaster risk reduction (DRR). And according to the head of the United Nations Office for Disaster Risk Reduction (UNISDR), Robert Glasser, the reduction of greenhouse gases is “the single most urgent global disaster risk treatment”. Glasser was addressing the Fifth Regional Platform for Disaster Risk Reduction (DRR) in the Americas. Held recently in Montreal, the gathering included more than 1,000 delegates from 50 countries, including the Caribbean. “We recognise that reducing greenhouse gas emissions is arguably the single most urgent global disaster risk treatment, because without those efforts our other efforts to reduce many hazards and the risks those pose to communities would be overwhelmed over the longer term,” Glasser said. The conference, hosted by the Canadian government in cooperation with UNISDR marked the first opportunity for governments and stakeholders of the Americas to discuss and agree on a Regional Action Plan to support the implementation of the Sendai Framework for DRR 2015-2030. The Sendai Framework is the first major agreement of the post-2015 development agenda, with seven targets and four priorities for action. It was endorsed by the UN General Assembly following the 2015 Third UN World Conference on Disaster Risk Reduction (WCDRR). The Framework is a 15-year, voluntary non-binding agreement which recognises that the state has the primary role to reduce disaster risk but that responsibility should be shared with other stakeholders including local government, the private sector and other stakeholders. “The regional plan of action you will adopt . . . will help and guide national and local governments in their efforts to strengthen the links between the 2030 agenda for Climate Change Adaptation and Disaster Risk Reduction as national and local DRR strategies are developed and further refined in line with the Sendai Framework priorities over the next four years,” Glasser said. The Caribbean is a minute contributor to global greenhouse gas emissions but will be among the most severely impacted. The region is already experiencing its impacts with more frequent extreme weather events such as the 2013 rain event in the Eastern Caribbean, extreme drought across the region with severe consequences in several countries; the 2005 flooding in Guyana and Belize in 2010. Inaction for the Caribbean region is very costly. An economic analysis focused on three areas – increased hurricane damages, loss of tourism revenue and infrastructure – revealed damages could cost the region 10.7 billion dollars by 2025. That’s more than the combined Gross Domestic Product (GDP) of all the member countries of the Organisation of Eastern Caribbean States (OECS). At the Montreal conference, Head of the Caribbean Disaster Emergency Management Agency (CDEMA) Ronald Jackson was a panelist in a forum discussing the linkages between disaster risk reduction, climate change and sustainable development. He said the region needs to marry its indigenous solutions to disaster risk management with modern technology. “We’ve recognised that in the old days, our fore parents…had to deal with flood conditions and they survived them very well. There were simple things in terms of how they pulled their beds and other valuables out of the flood space in the house in particular. This contributed to their surviving the storms with minimal loss,” Jackson said. CDEMA is a regional inter-governmental agency for disaster management in the Caribbean Community (CARICOM). The Agency was established in 1991 with primary responsibility for the coordination of emergency response and relief efforts to participating states that require such assistance. 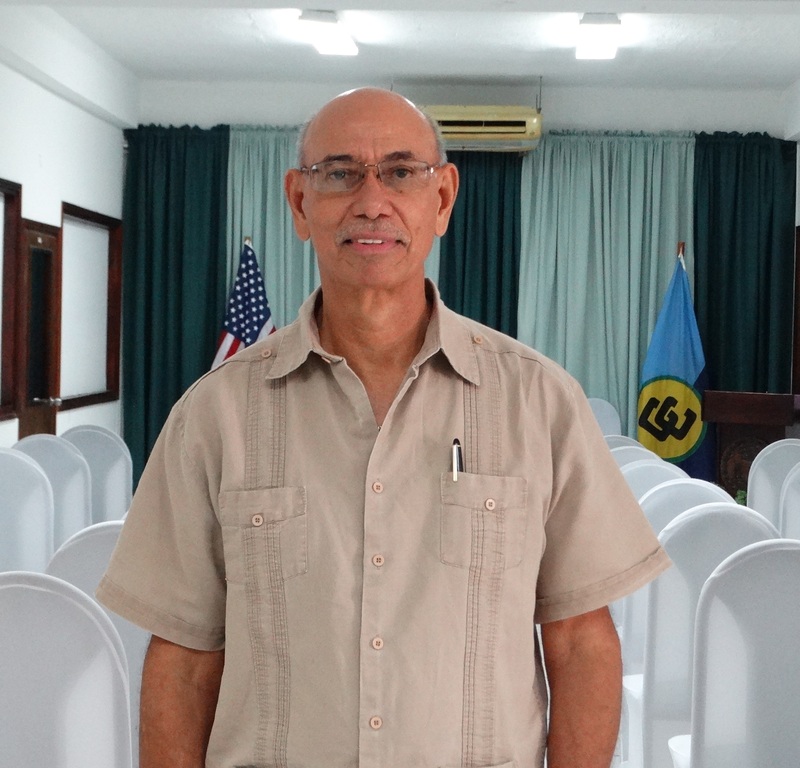 Another regional agency, the Belize-based Caribbean Community Climate Change Centre (CCCCC) is collaborating with other agencies on the Caribbean Risk Management Initiative (CRMI). The CRMI aims to provide a platform for sharing the experiences and lessons learned between different sectors across the Caribbean in order to facilitate improved disaster risk reduction. “We see disaster risk reduction and climate change adaptation as two sides of the same coin because to the extent we are able to enhance disaster risk reduction we are also beginning to adapt to climate change,” Dr. Mark Bynoe, the CCCCC’s senior environment and resource economist said. He explained that there are a range of activities carried out specifically in terms of climate adaptation that will also have a disaster risk reduction element. Meantime, CCCCC’s Deputy Director Dr. Ulric Trotz said the agency is rolling out a series of training workshops in 10 countries to share training tools that were developed with the aim of assisting in the generation of scientific information and analysis to help in making informed decisions. These include the Weather Generator (WG), the Tropical Storm Model/ Simple Model for the Advection of Storms and Hurricanes (SMASH), and the Caribbean Drought Assessment Tool (CARiDRO). The training will target key personnel whose focus are in areas of agriculture, water resources, coastal zone management, health, physical planning or disaster risk reduction. “The CARIWIG [Caribbean Weather Impacts Group] tool is a critical tool in that it more or less localizes the projection so that for instance, you can actually look at climate projections for the future in a watershed in St. Kitts and Nevis. It localizes that information and it makes it much more relevant to the local circumstance,” said Dr. Trotz. Training and application of the tools will allow decision-makers to better understand the potential impacts of drought, tropical storms, and rainfall and temperature changes. When combined with other data and information, they can help to build a picture of potential impacts to key economic sectors in the various countries. Senior environment officials from the Caribbean Community (CARICOM) met recently in Belize as CARICOM rationalises its position on the United Nations (UN) process to establish an international legally binding agreement on sustainable use of marine resources. The two-day workshop held 20-22 February 2017, in Belize City, Belize, was titled, ‘CARICOM Regional Workshop on the Conservation and Sustainable Use of Marine Biological Diversity beyond Areas of National Jurisdiction’. Foreign Minister of Belize, the Hon. Wilfred Elrington, addressing the opening, said that CARICOM Member States had championed the negotiation and adoption of the 1982 UN Convention on the Law of the Seas (UNCLOS), which was opened for signature in Jamaica. He also reminded that when the International Tribunal for the Law of the Sea was constituted, two CARICOM citizens – Edward Laing of Belize and Dolliver Nelson of Grenada, joined the ranks of the first 21 Members of the Tribunal. “Judge Laing and Judge Nelson are no longer with us, but they, together with other key jurists from our Region, including the sitting Judge Anthony Amos Lucky of Trinidad and Tobago, have left a legacy on the international stage that is definitive of our Region’s commitment to uphold the law of the sea. “We have now been called upon to address an area of the law of the sea that has not been adequately provided for in the UNCLOS, whether for want of scientific knowledge, implementation, or as a result of governance and legal gaps,” he said. For CARICOM, he noted, the implementation of this agreement was the only feasible option to ensure that developing countries and Small Island Developing States (SIDS) in particular, benefited equitably from the conservation, sustainable use and exploitation of areas beyond national jurisdiction. Critically, he said, the agreement presented an opportunity to strengthen the Convention and to help States with the implementation of provisions of UNCLOS relating to resources which would not have been contemplated to be the exclusive domain of any State, however large and industrialised. Minister Elrington told the gathering of regional experts in the legal field, in fisheries, environment and international relations that it was critical for the meeting to identify the essential elements for a new implementing agreement, taking into account regional interests, the Community’s contributions to the conservation and sustainable use of marine resources and potential benefits to be secured in such an agreement. The Hon. Dr. Omar Figueroa, Minister of State in the Ministry of Agriculture, Fisheries, Forestry, the Environment, Sustainable Development and Climate Change, also addressed the meeting noting that the wide range of expertise gathered at the meeting reflected the complexity of marine biological diversity of areas beyond national jurisdiction. This multi-sectoral approach was necessary, he said, to address the complexities of the issue. He urged the participants to use the platform for knowledge-building, sharing and networking, and to establish a solid foundation upon which the CARICOM could formulate well-informed positions. The meeting engaged in technical discussions on the proposed Implementing Agreement under the United Nations Law of the Sea on Biodiversity beyond National Jurisdiction. It identified areas for further study and research for the Region to enhance its participation in the preparatory process. It also identified key actions to be taken at the national and regional level ahead of the next Preparatory meeting of the United Nations scheduled for March 27th to 7th April 2017.